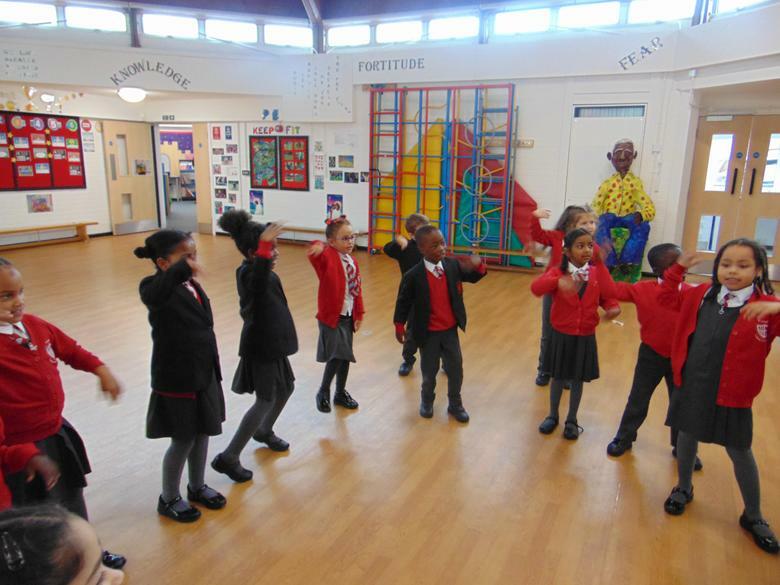 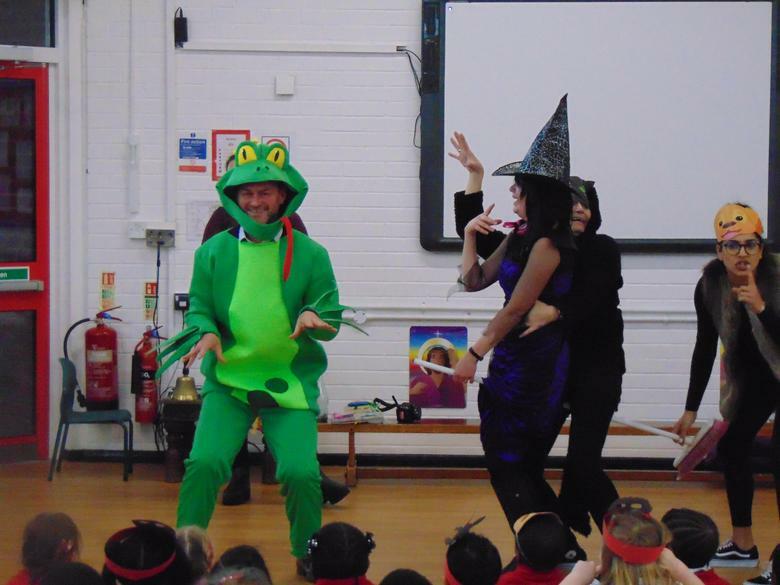 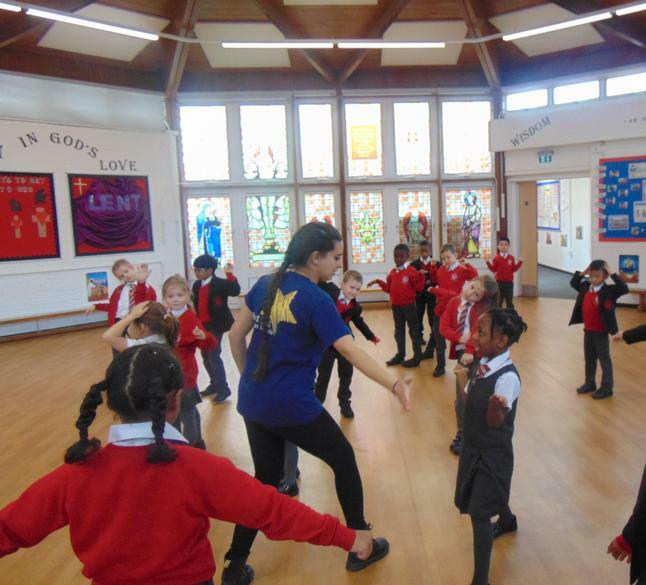 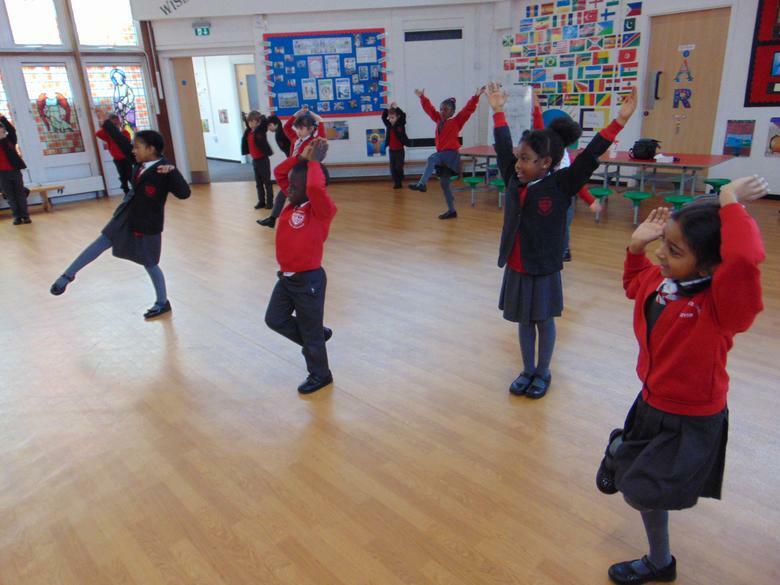 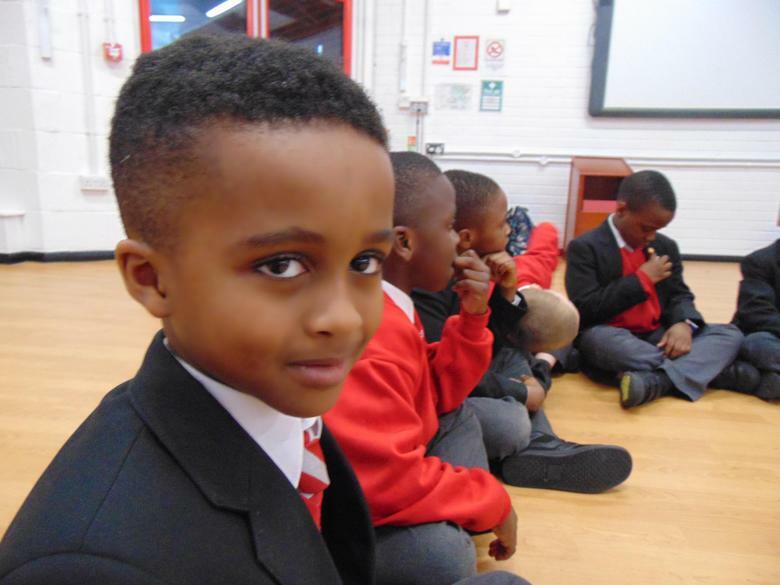 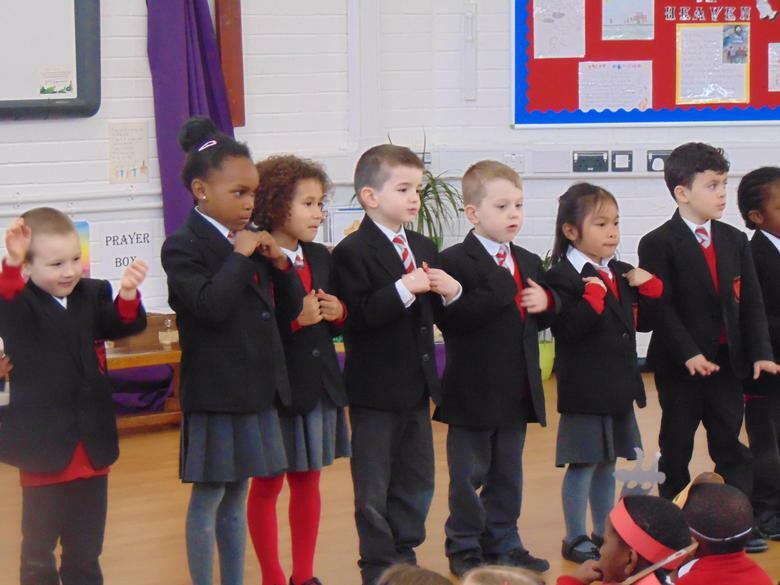 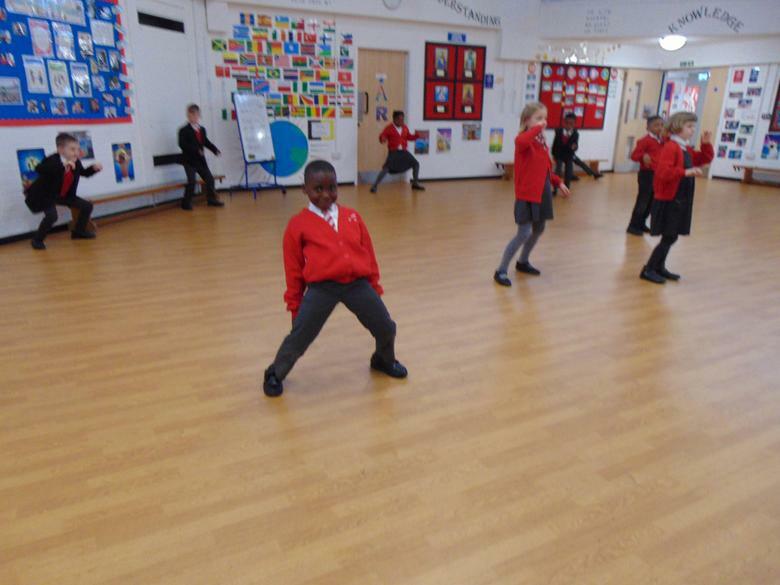 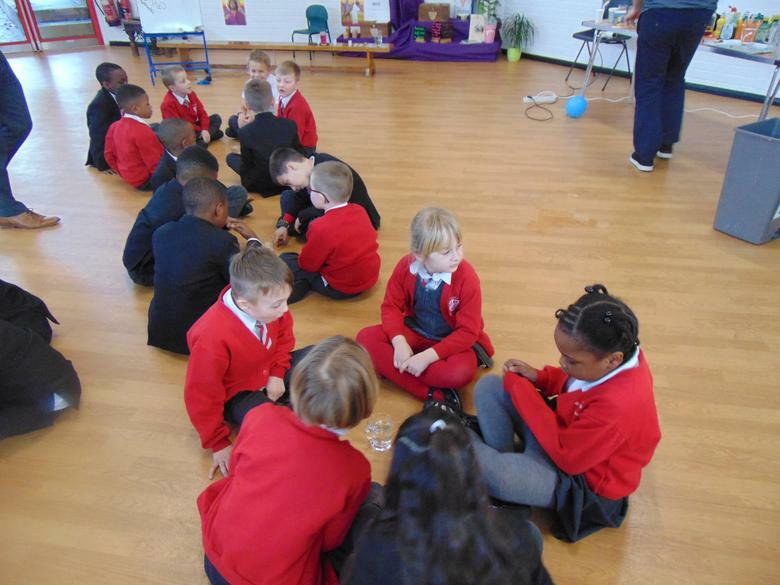 The children enjoyed a busy activity filled week. 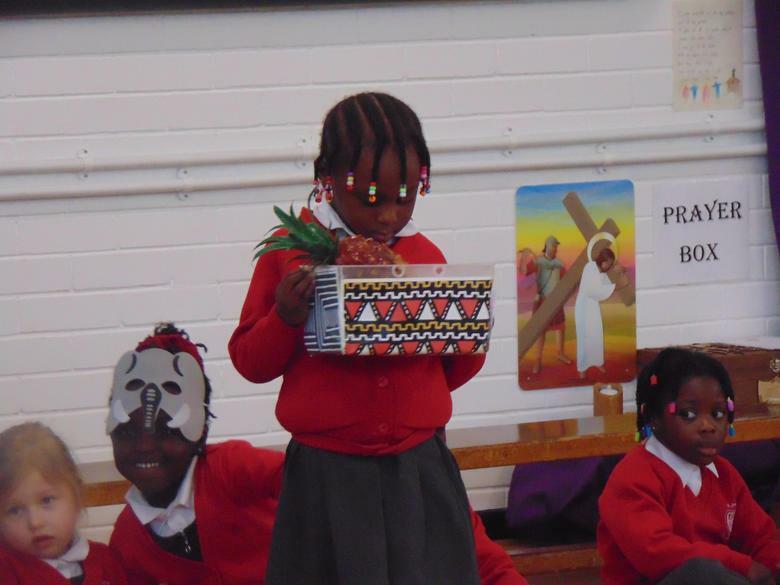 It begun by guessing Who's Who's with photographs of teachers hidden behind books. 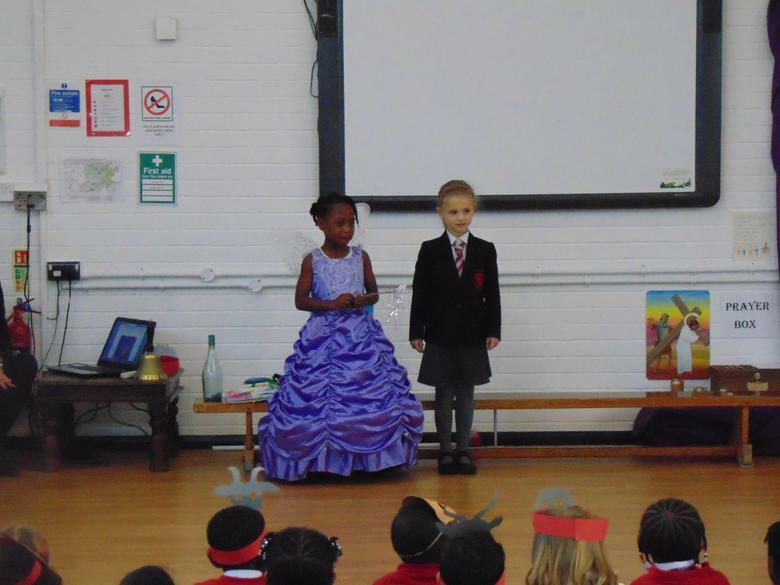 Children enjoyed reading lots of different texts and earning "Golden Tickets" for additional privileges if they were caught reading in their own time. 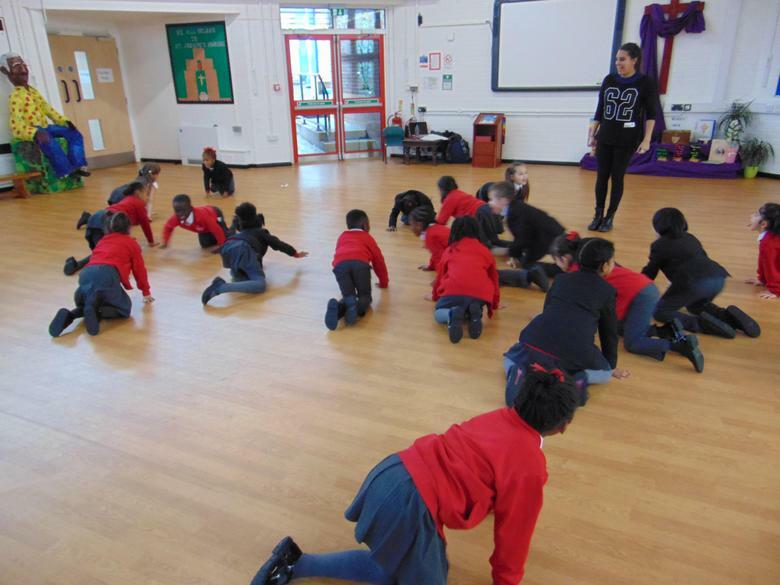 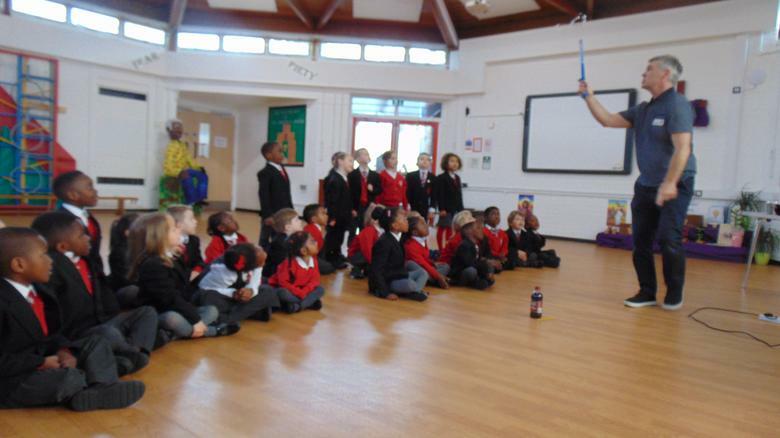 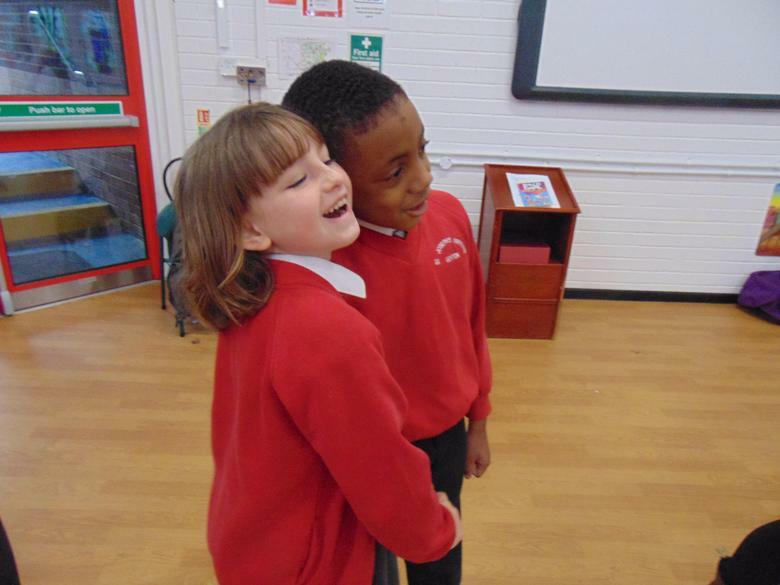 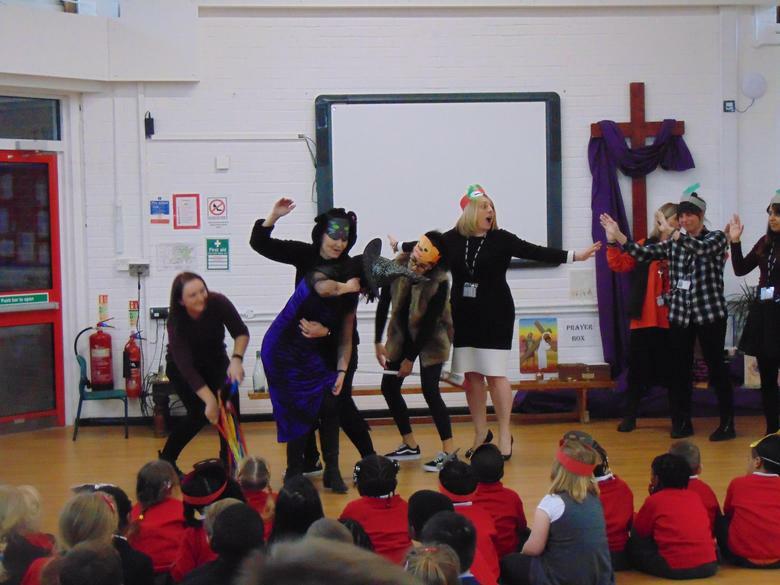 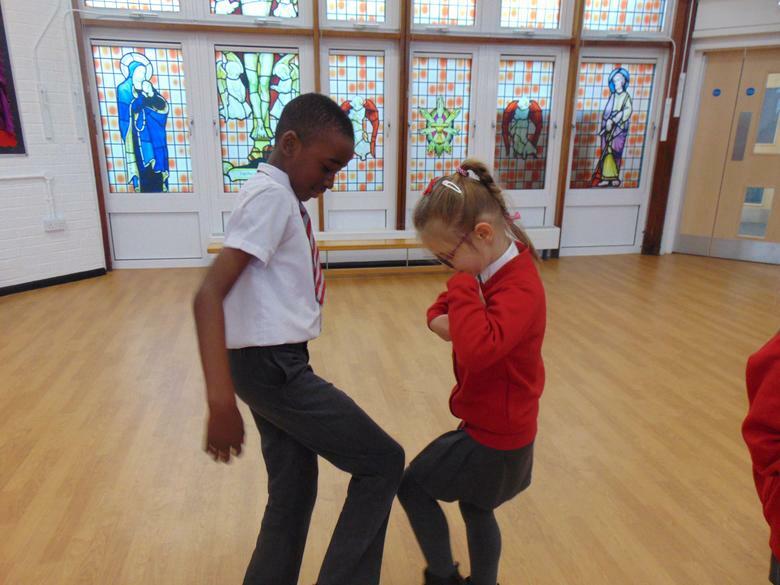 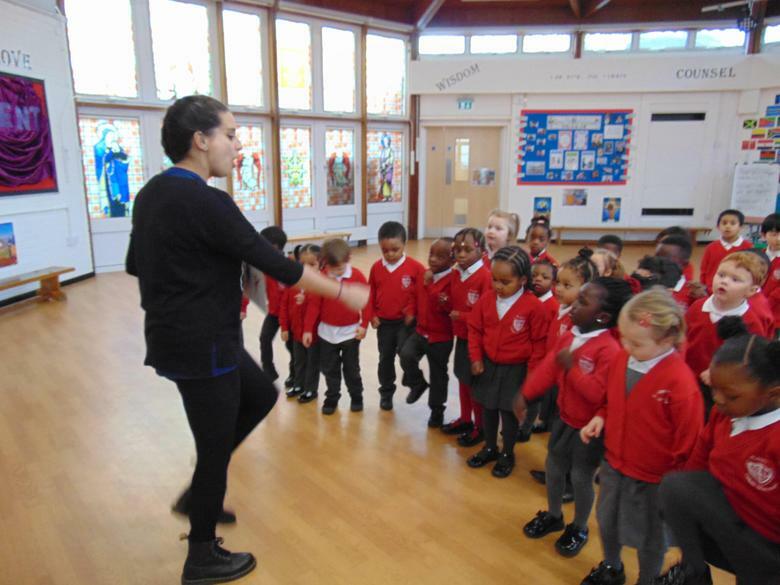 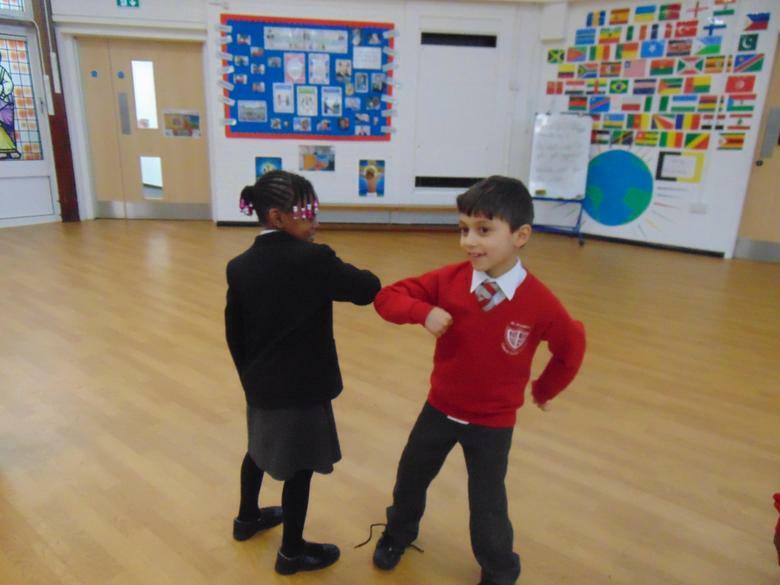 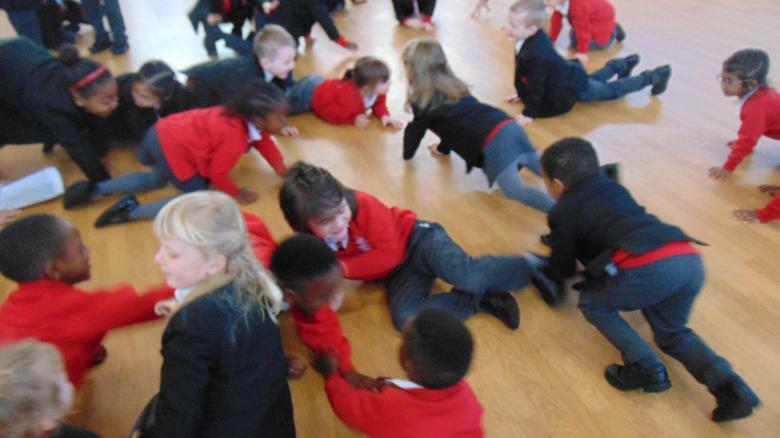 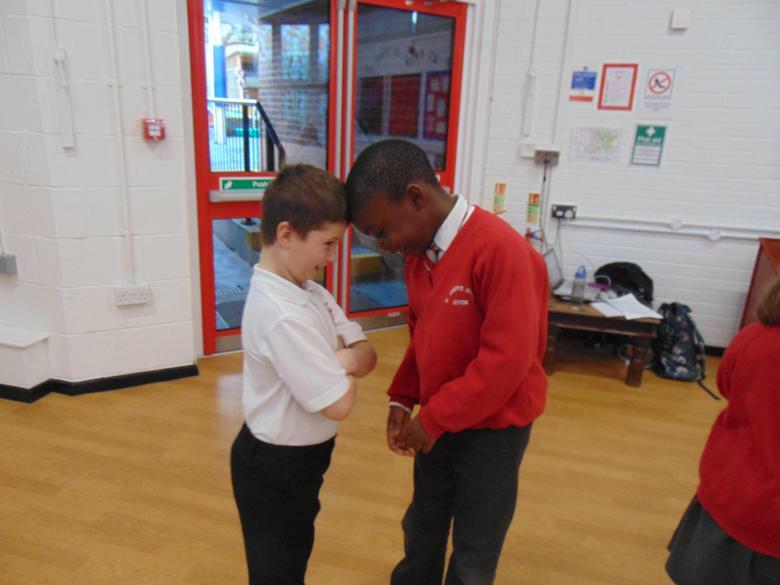 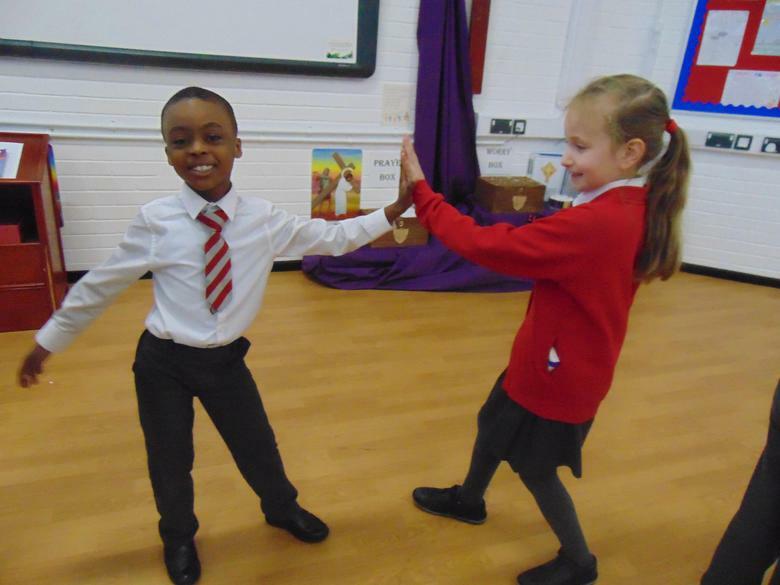 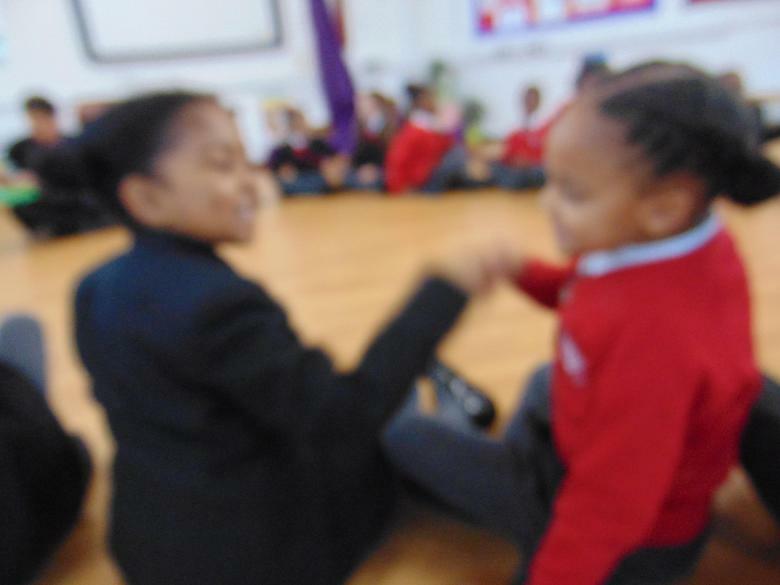 Children took part in a book/drama workshop focusing on The Stick Man, We're going on a Bear Hunt and George's Marvellous Medicine. 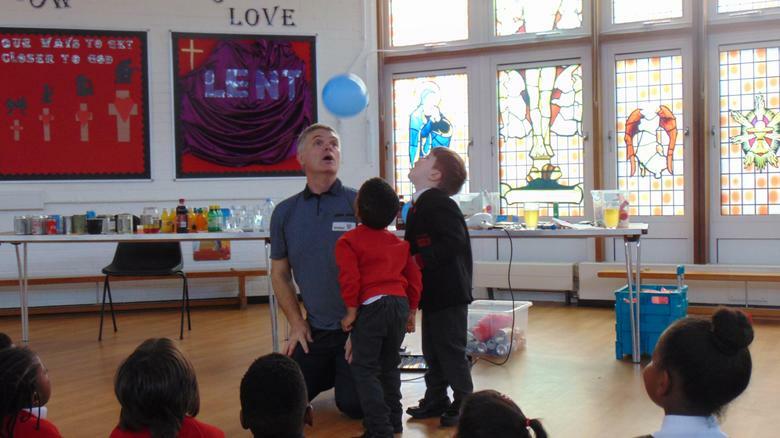 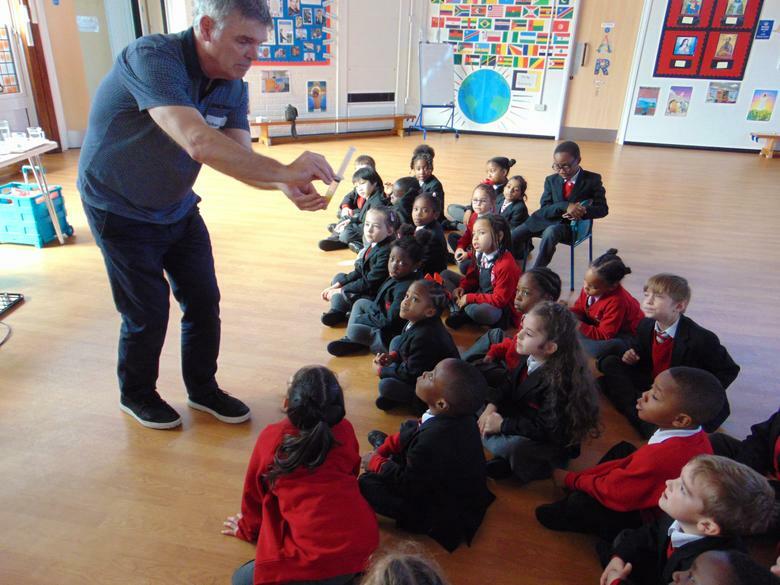 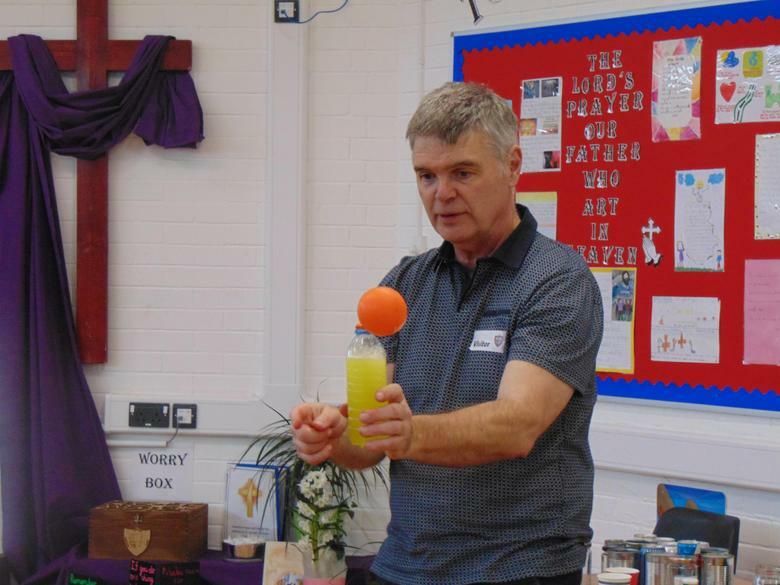 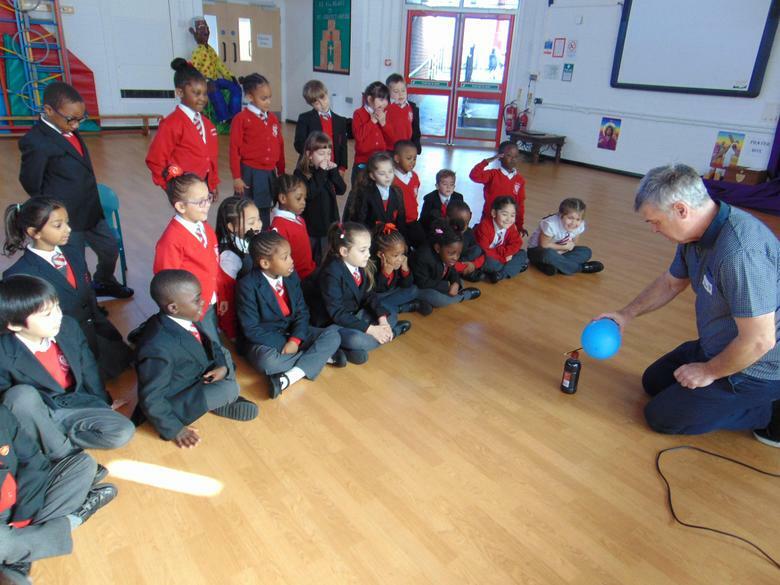 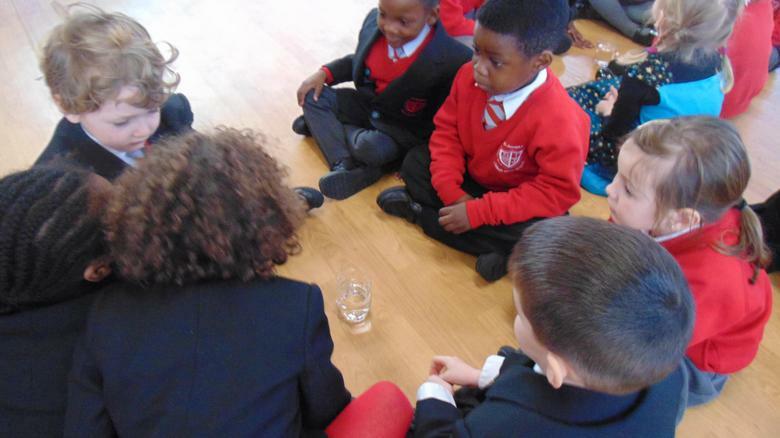 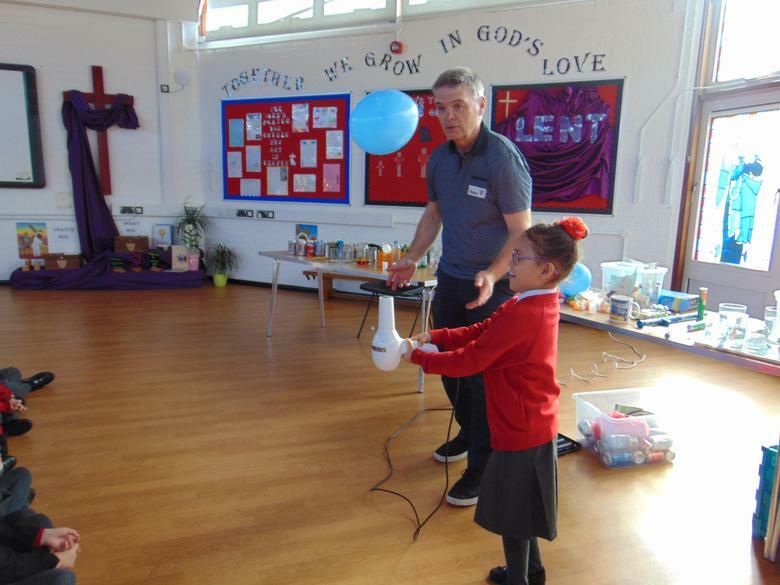 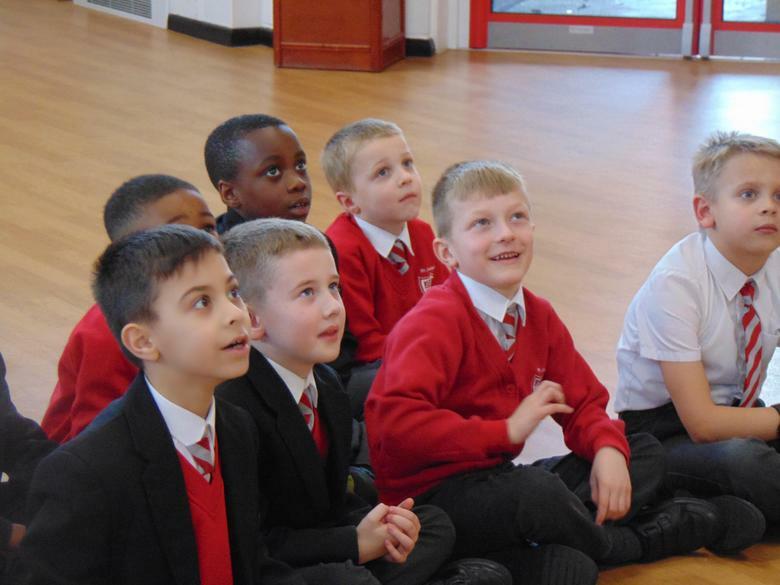 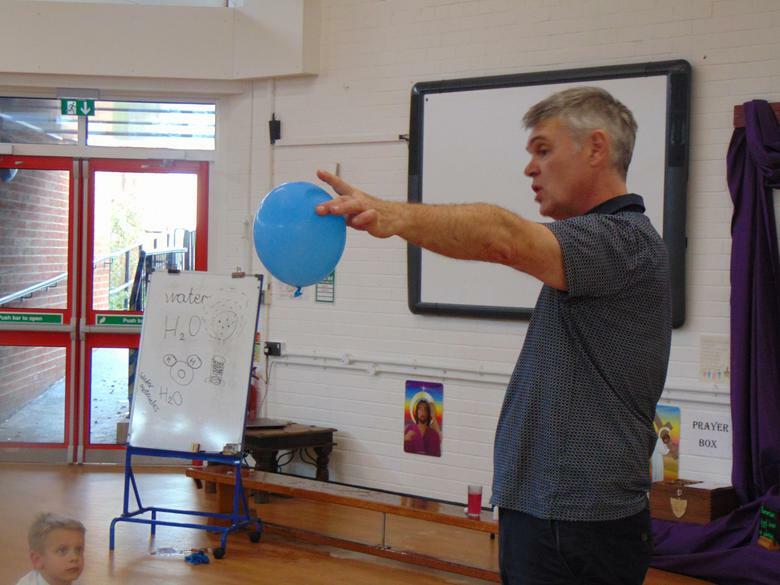 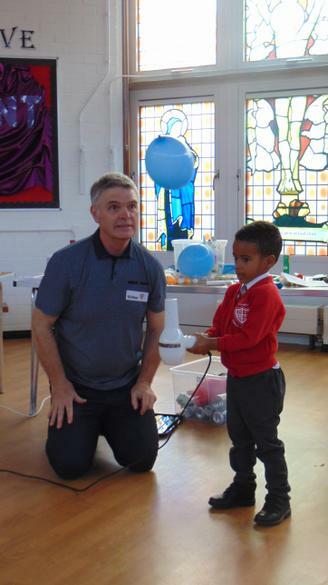 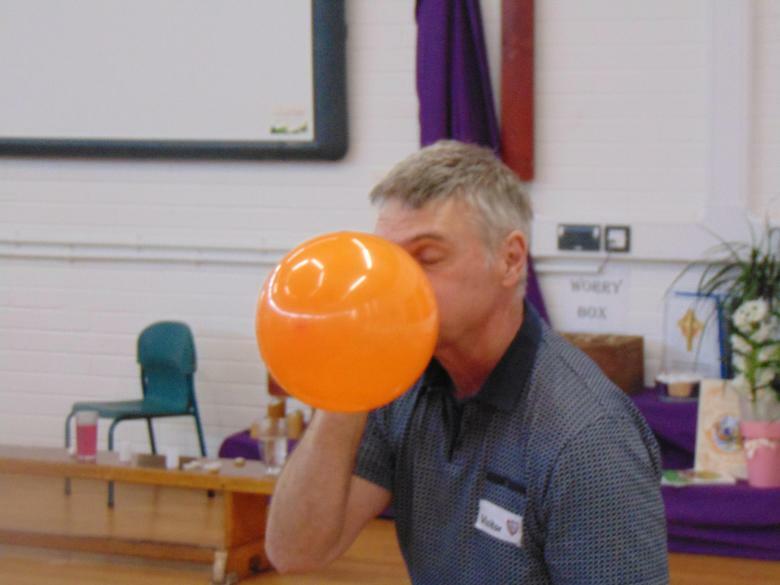 The popular Roald Dahl book George's Marvellous Medicine was the focus of a fantastic science workshop where the children learnt about gravity and chemical reactions.